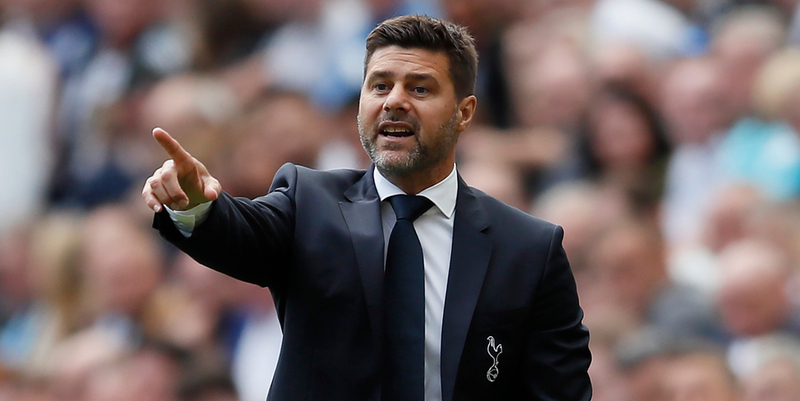 Pochettino: Spurs aren't "mature enough"
Tottenham manager Mauricio Pochettino said that his side's complacency and arrogance cost them against league strugglers Southampton on Saturday. Having taken the lead through Harry Kane in the 26th minute, the visitors looked to have the game wrapped up until a second goal in as many weeks from Saints' young right-back Yan Valery drew the hosts level 15 minutes from time. James Ward-Prowse then curled a beautiful free-kick past Hugo Lloris just after the 80 minute mark, which turned out to be the match winner and gifted Southampton a priceless three points down near the foot of the table. Spurs are now without a win in their previous four league matches, and sit just four points ahead of rivals Arsenal, who have played a game less than them in fifth-place. Fourth-placed Manchester United will draw level with them should they manage to beat Arsenal in today's late kick-off at the Emirates. After yesterday's clash on the south coast, Pochettino - who was watching on from the stands following his touchline ban against Burnley - said that he was "so, so, so disappointed" with his side's performance. "I am a little bit worried about this change from the first half to the second half - it's only one thing, it's mental. "It's about complacency, it's about arrogance in a bad way. You can use the first half as an example of [positive] arrogance, playing with intention, focus, concentration - we matched them in everything and we were much better." "And in the second half it's the arrogance in a bad way. We need to blame all of us, the club." The disgruntled Argentine added when speaking to Match of the Day: "We were better at everything but we lost the game. We did not take the second half seriously. I think it's good now [that we're in a battle for the top four] that people now are going to realise our real level and maybe stop with the perception. "That showed that we still have a lot of work to do, that showed we are not mature enough, that showed that to be in the last level you need more effort, you need more quality, to increase your capacity of commitment. "We are fighting against big sides. We had a big gap - welcome to the reality - and we are under pressure to win games. It is a massive challenge for us." Kane's opener at St Mary's was his 200th career goal and takes his tally for the season to 17 in total, just one behind Manchester City's Sergio Aguero. The England front man was also on target in midweek as Spurs overcame Borussia Dortmund in the Champions League, cementing their place in the quarter-finals of the competition next month. They have however now taken just a single point from their previous four games in the Premier League, and are in with a real chance of dropping out of the top four all-together should their poor run of form continue.